These events are organized by our community partners and many take place off-campus. If you are hosting an event related to the Himalaya Region or Himalayan Community and you would like us to advertise it here, please send us an email at himalaya.arts@ubc.ca with all relevant information. 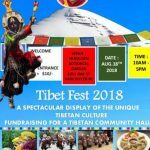 Our community partners at the Tibetan Cultural Society of British Columbia (TCSBC) invite you to attend Tibet Fest 2018. 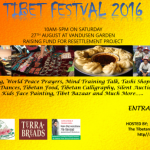 The 7th Annual Tibet Festival will be hosted by Tibetan Cultural Society of British Columbia (TCSBC) on August 13, 2017 at the VanDusen Botanical Garden, 5251 Oak Street, Vancouver. The event is scheduled to run from 10AM-5PM. Admission is $10. 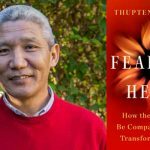 Banyen Books invites the Himalaya Program community to a special evening talk with Dr. Thupten Jinpa, celebrated author & principal translator to H.H. the Dalai Lama since 1985, on the cultivation of a fearless heart and the wisdom of Compassion. 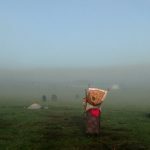 Drokpa, a new documentary from director Yan Chan Su, depicts life on the Tibetan plateau for Tibet's last nomads and the challenges that they face. Professor Tsering Shakya, a member of the Himalaya Program's Steering Committee, will be speaking at the event as part of the Justice Forum Panel. 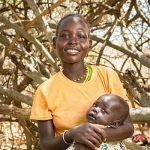 Colleagues from UBC Midwifery invite Himalaya Program members to join this event about respectful maternal health care in Nepal, Uganda and Haiti. The 4th annual Heart-Mind conference, hosted by the Dalai Lama Center for Peace and Education, features some of the leading minds in child development, education and mental health addressing the Dalai Lama's question, "How can we educate the hearts of children?" 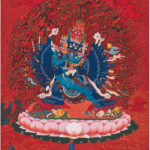 Join Todd Caldecott, author of Food As Medicine, for a fascinating lecture on the venerable Vajracharya medical tradition of Kathmandu. 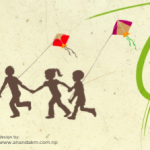 The NCSBC invites the Himalaya Program community to celebrate the Nepali harvest festival of Dashain, 2073. Inspired by Buddhist philosophy, Kalsang Dawa uses, and teaches art for healing and self-awareness. In this talk, he will present his recent contemporary art works. This event its open to all, and free. No registration required. 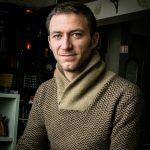 Our colleagues at the Liu Institute for Global Issues invite you to a photography exhibition by Graham McDowell, Liu Scholar and a member of the Himalayan Program Network. 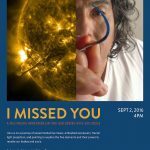 This multimedia project, performed as part of the Richmond Multicultural Festival, weaves together live music, dance, fractal light projection, and performative painting to explore the five elements and their power to reunite our bodies with our souls. On August 27th, join in a celebration of Tibetan music, dance, food, arts, and more, at the beautiful VanDusen Botanical Garden. All proceeds will go toward the Tibetan Resettlement Project, a humanitarian initiative to resettle 1,000 Tibetan refugees in Canada. 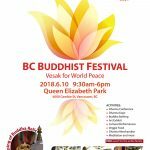 This event is hosted by the Tibetan Cultural Society of BC.